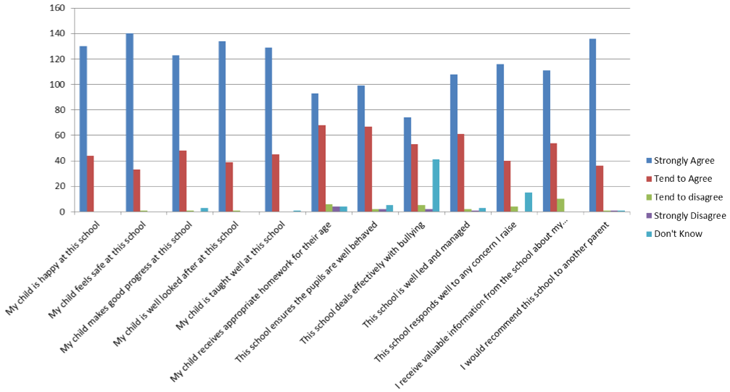 Here are our results from our last Parent Questionnaire. 175 survey sheets were returned. The responses are represented in this graph. We thank you for your feedback to help improve our school! Better communication from school to parents. Email and Text service for all parents. Up-to-date and well maintained website providing all the information you need. Bilton App for all smartphones and tablets. Theme Maps sent out every term. 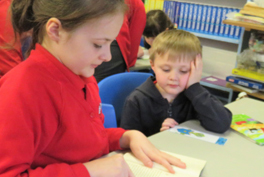 Empowering Learning Targets out every half term. 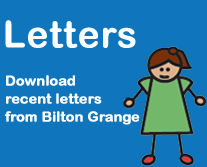 Regular letters: emailed; on the App and website. More information on how my child is doing. Termly report cards for achievement and attitude. An extra optional parents evening added for the summer term. More activities for children at break time. Children trained as 'Sports Leaders' to run activities with children at lunchtime. 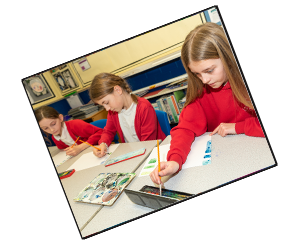 Children run various extra-curricular clubs with adult support. Weaving loom installed in the playground. £30k Multi-Use Games Area installed.